AT&T's latest LTE 4G smartphones comes from Sony Mobile. The Xperia Ion offers a great display and excellent camera, but stumbles through some other key features. Find out which they are in Phone Scoop's full review. Sony's latest Android phone is the Ion for AT&T. It bears the important distinction of being the first U.S. phone to be branded "Sony" rather than Sony Ericsson. It's also Sony's first LTE 4G effort for the U.S. and offers a new content store from Sony. Has Sony finally assembled all the pieces it needs for the Ion to stand apart on the crowded shelves in AT&T stores? Nearly. Sony Mobile today revealed a list of its devices that will be updated to Android 4.1 Jelly Bean. 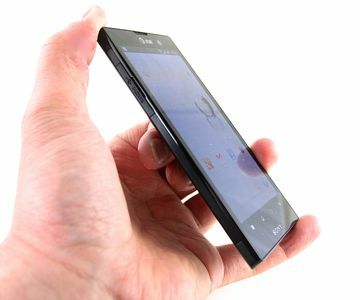 According to Sony, the bulk of its 2012 Xperia lineup will receive Jelly Bean, including the Xperia T, TX, and V.
Sony today announced new updates for its Music Unlimited Android smartphone and Android tablet applications. Music Unlimited Android Mobile app version 1.4 lets device owners access the "My Channels" feature. What happened with Philip Berne? In the last few months all the reviews I've read have been written by Eric. Things you don't say when the current guy is doing a fine job. This is really starting to bum me out. Living in an LTE city, the battery can leech away when I'm not even using my phone. My only options are LTE on or data completely off. And it's something that's possible! The iPad 4G has an LTE on/off switch, and I love that. Why aren't phone manufacturers doing that? Do you think any phones do? Are you aware of any that do for AT&T? ☹️ I would consider buying this device if it is going to get ICS update.99$ great price if I wait 4 to 6 weeks it will 49:99$.